October 17, 2011 On September 13, 2011 Erik G.F. Thomas passed away. He was 72 years old. 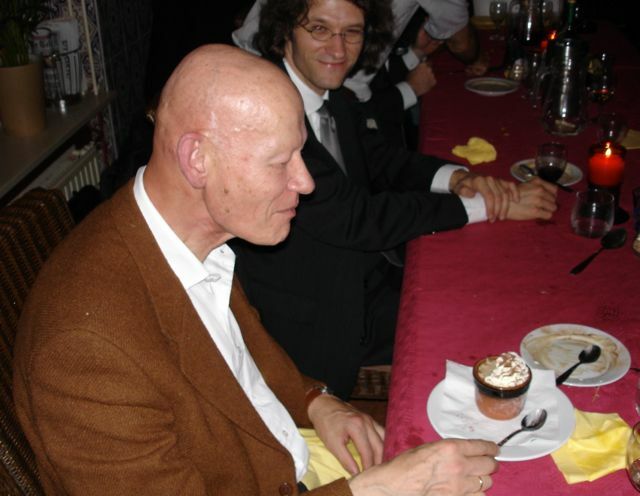 He was professor emeritus in mathematics at the University of Groningen. His research was in analysis, in particular functional analysis and measure and integration, including analysis on Lie groups and the study of path integrals. MathSciNet lists 46 published papers by him. Erik Thomas obtained his PhD in 1969 at Université Paris-Sud XI Orsay. His PhD advisor was Laurent Schwartz. Read an in memoriam. July 26, 2008 On July 22, 2008 Anatoly Klimyk passed away. He was 69 years old. From 1989 to April 2008 he was the Head of Department of Mathematical Methods in Theoretical Physics, Institute of Theoretical Physics, National Academy of Sciences of Ukraine, Kiev. Anatoly Klimyk was in particular well-known by his work on group theoretic methods for special functions. Notably, he wrote together with N. Ja. Vilenkin a four-volume monograph Representations of Lie groups and special functions which appeared at Kluwer, 1991-1995. Read a more detailed message about Anatoly Klimyk by Anatoly Nikitin. October 24, 2007 Dürer's Melencolia I destroyed by fire. One of the pieces of art destroyed by the fire of October 22, 2007 in the Armando Museum in Amersfoort is the engraving Melencolia I by Albrecht Dürer. This engraving contains many allegoric mathematical figures. See http://en.wikipedia.org/wiki/Melencolia_I for a description. A common interpretation of this engraving has direct relevance for the researcher in mathematics: The engraving would symbolize the melancholia which takes possession of the researcher when there is no progress in the research. The bell which should announce the break-through to the world hangs silently. I don't know from where the Armando Museum had this engraving on loan. Fortunately, it is not unique, as is usually the case with engravings. For instance, the web page http://www.artcyclopedia.com/artists/durer_albrecht.html already mentions four musea which possess the engraving: Armand Hammer Museum of Art at UCLA, Johnson Museum of Art at Cornell University, Princeton University Art Museum and Whitworth Art Gallery, Manchester, UK. 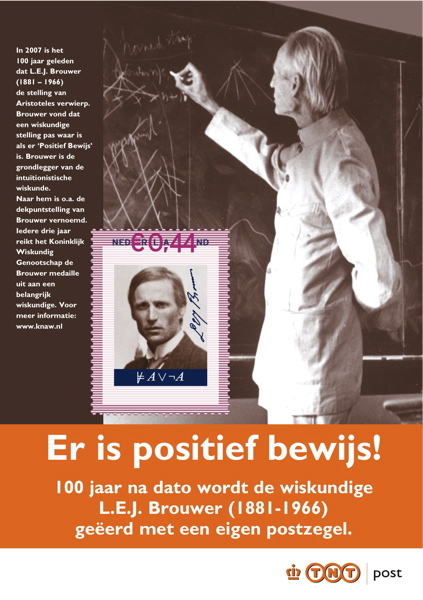 A stamp celebrating the centennial of the thesis by L.E.J. Brouwer came out in the Netherlands today. During a meeting at the Dutch Academy of Sciences (KNAW) the first item was handed to prof. Dirk van Dalen. 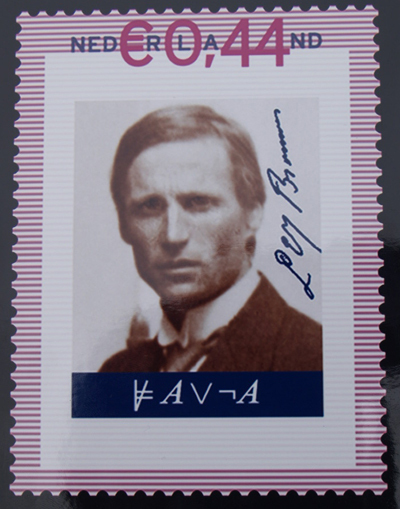 The stamp can be ordered at TNT Post Onlinewinkel (type "Brouwer" under "Zoek een product", "Naam"). See here the formula on the stamp, if it is produced by the latex code given here. Herman van Rossum, emeritus professor of the University of Amsterdam, has died on February 25, 2006. He became 88 years old. During a period of 20 years Herman van Rossum was director of the Institute for Propaedeutical Mathematics at the University of Amsterdam. This institute, emphasizing good teaching of basic mathematics to students in other sciences, was founded by him. Later the institute changed its name into Institute for Interdisciplinary Mathematics. Herman van Rossum defended his PhD thesis A theory of orthogonal polynomials based on the Padé table at the University of Utrecht in 1953. Between 1955 and 1995 he published 26 research papers, mostly on orthogonal polynomials and Padé approximation. Seven of these papers were joint papers with Erik Hendriksen, who was inspired by Herman van Rossum to enter research in orthogonal polynomials and approximation theory. 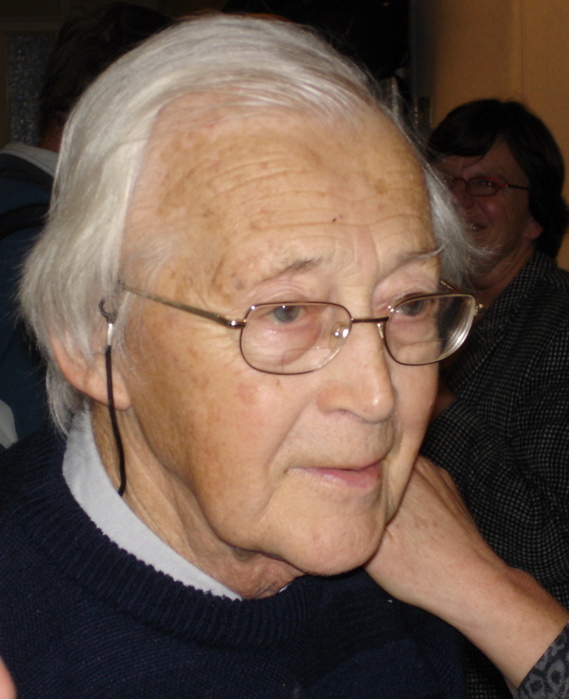 See a picture of Herman van Rossum taken in October 2005. 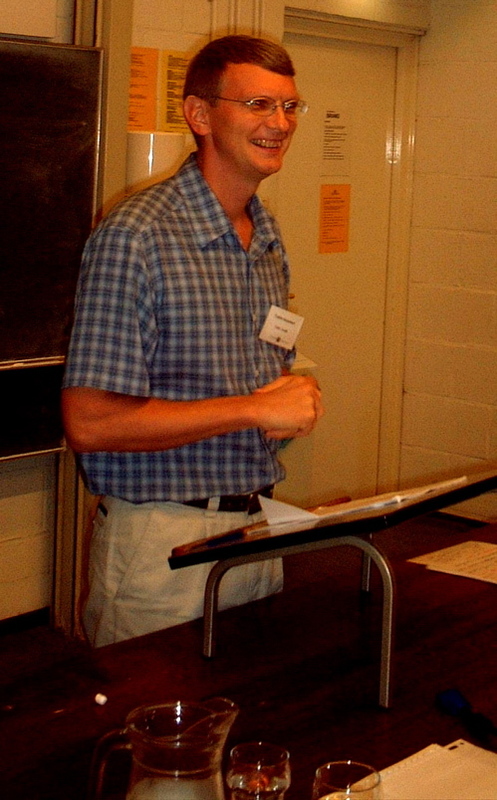 Vadim B. Kuznetsov (University of Leeds, UK) died suddenly and unexpectedly on 16 December 2005. He was an expert in the field of Integrable Systems. MathSciNet lists 45 publications of his, over the period 1987-2004. Among these there are 13 which have Primary/Secondary MSC number 33. He became best known in special functions by a series of papers together with E.K. Sklyanin on application of the technique of separation of variables in quantum integrable systems in order to obtain an integral transform mapping n-variable Macdonald (or Jack) polynomials to a product of n one-variable functions, and vice versa. Vadim Kuznetsov studied and graduated in Leningrad (now St. Petersburg). In 1993 he came to Amsterdam for a two-year postdoc position with me. After further postdoc positions in Denmark and Canada he settled in Leeds, first in temporary positions obtained by successful grant applications, and eventually in a tenured position as a Reader in Applied Analysis. Vadim was always very kind and enthusiastic. He had 21 coauthors. He was very active in organizing meetings, of which two Proceedings edited by him have appeared. A third volume, the Proceedings of the Workshop on Jack, Hall-Littlewood and Macdonald polynomials (Edinburgh, 23-26 September 2003), coedited with Siddharta Sahi, has appeared in 2006 in the AMS series Contemporary Mathematics. Vadim is survived by his wife, Olga, and son, Simon. See a short obituary provided by the University of Leeds. 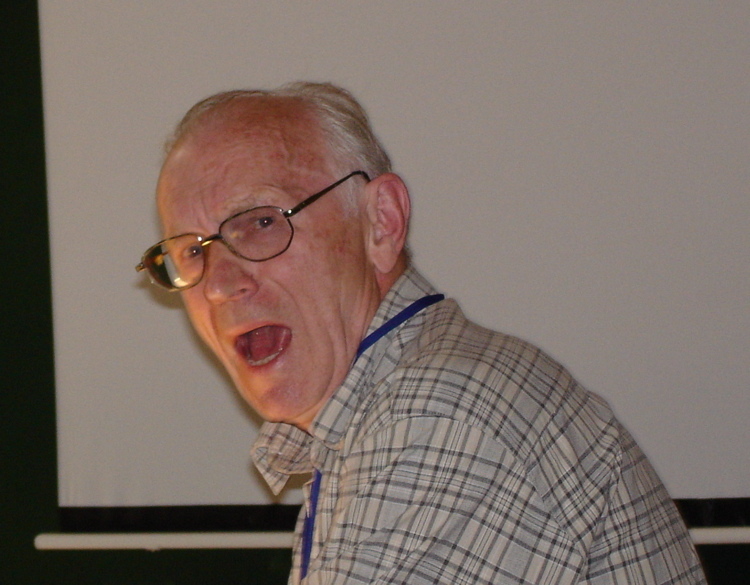 There is a picture of Vadim lecturing during the Workshop on Special Functions, Representation Theory and Applications, Amsterdam, 25-27 August 2003. Johannes (Joop) Boersma, emeritus professor of the Technical University Eindhoven, has died on November 29, 2004. He became almost 67 years old. He was active in applied analysis, including special functions and asymptotics. See an in memoriam in Dutch, provided by the TU Eindhoven. 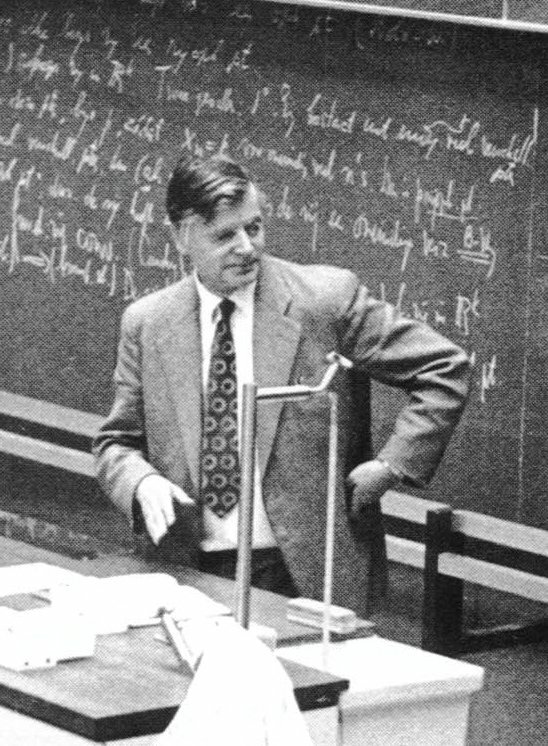 Adriaan C. Zaanen (prof. emeritus of University of Leiden, Netherlands) passed away on April 1, 2003. He was born on June 14, 1913. He was a mathematician of high reputation in analysis, in particular functional analysis and Riesz spaces. He wrote at least 6 books and many papers. See Nieuw Arch. Wisk. (4) 6 (1988), no. 1-2, 60-62 for a brief biography and curriculum vitae (in Dutch) of Zaanen on the occasion of his election as an honorary member of the Wiskundig Genootschap (Dutch Mathematical Society). See also the item on Zaanen (in Dutch) in the online Biografisch Woordenboek van Nederlandse Wiskundigen.